On Tuesday, after the second practice of the spring for Nebraska, redshirt sophomore JD Spielman spoke with the media for about 10 minutes. The team’s second leading wide receiver last season didn’t know it, but he was being shouted out by his new head coach Scott Frost, for his potential and style of play. When thinking of players on the roster that fit this offense, Spielman certainly comes to mind as quickly as anyone. He sees it, too. If we all can agree that the offense is a good fit for the versatile playmaker. What needed a little more clarification, however, is just how the tempo of the offense can help a wide receiver be more effective. Here is how Spielman explained that. So, with all those additional plays and increased tempo, there is the question of being able to handle that increased workload from a stamina standpoint. Spielman did not shy away from the effects the new offense had on his thought process heading into offseason conditioning. 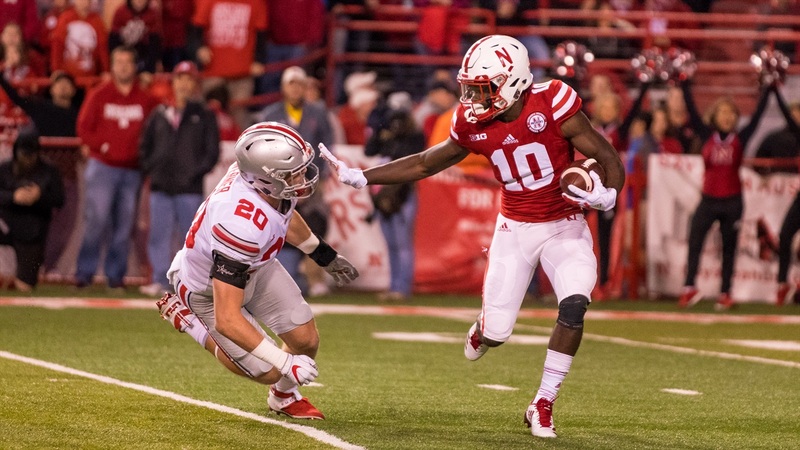 Spielman, like a lot of his teammates, is hungry, eager to learn the offense and get better. In fact, he says that he arrived on campus at 5:20 a.m. Tuesday morning for the 7:45 a.m. practice. If he keeps working like this and improves from his stellar season last year, he will certainly be a force in the new lighting-quick offense.